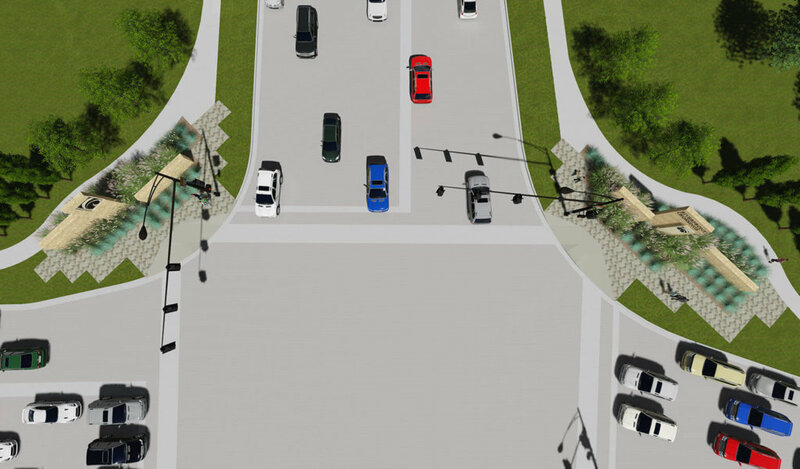 This project involves Iowa City streetscape improvements for S. Riverside Drive between U.S. Highway 6 and Myrtle Avenue. This half-mile corridor runs north to south paralleling the Iowa River and has three major intersections with a mix of well-established businesses and redevelopment sites. It serves as a key gateway into the Riverfront Crossings District and the University of Iowa campus. As an Iowa Department of Transportation (IADOT) regulated roadway, all right-of-way improvements needed to meet the IADOT requirements for streetscape enhancements, including clear zones. 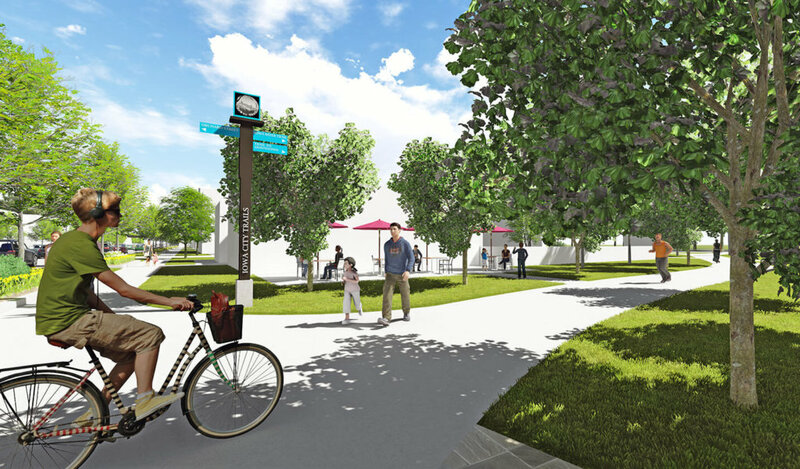 Working with a diverse group of stakeholders, we prepared a master plan and implementation plan that encourages redevelopment in the area and creates a more pedestrian-friendly environment. Key challenges are addressed with a five-phase plan that allows the master plan to be implemented over time. The design process was guided by meetings with city staff, business owners, and the general public. Input was collected to ensure everyone had opportunities to review designs and provide feedback. Three corridor design themes were developed and presented. 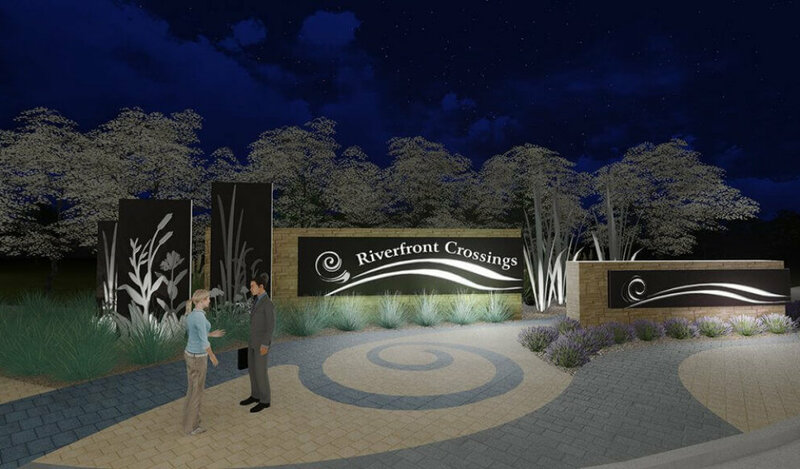 A “river” theme inspired by the Iowa River was selected. Streetscape improvements include planters, decorative street and pedestrian lighting, wider and more consistent sidewalks, and intersection enhancements. 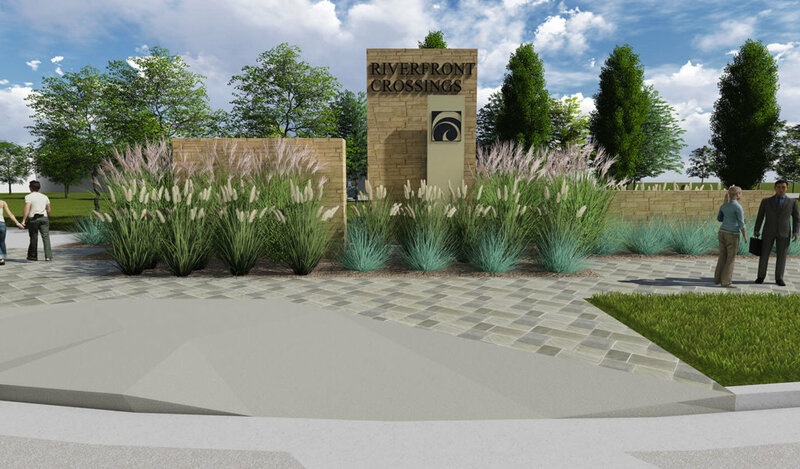 Specific materials such as limestone, dark bronze painted metal, and decorative pavers used throughout the streetscape help unify the corridor. Planters between the sidewalk and roadway provide a sense of separation between the pedestrian and vehicular traffic. 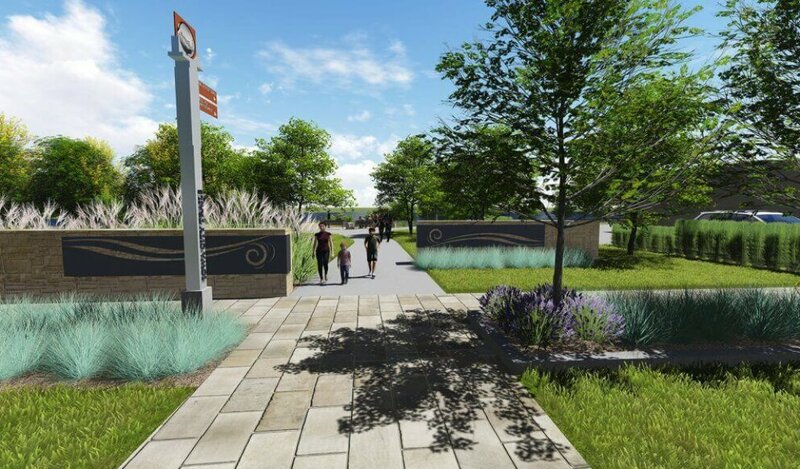 Strong gateway features including monument signage, decorative pavement, and landscape improvements at the north and south ends of the corridor create a sense of arrival. Increased pedestrian activity is expected as redevelopment continues. As a result, pedestrian crossing improvements are recommended at Myrtle Avenue, Benton Street, and Hwy 6 intersections. A railroad underpass through an existing railroad overpass provides a safer crossing and improved pedestrian circulation. Trail extensions along Benton Street provide a critical east to west link with the Iowa River Trail.